The covers from CD Poster Shop came out fantastic. The quality on these is seriously impressive to me. I don’t think I’ll ever do them by hand again, even if it means I’ll probably end up with a file full of leftover cover cards here. 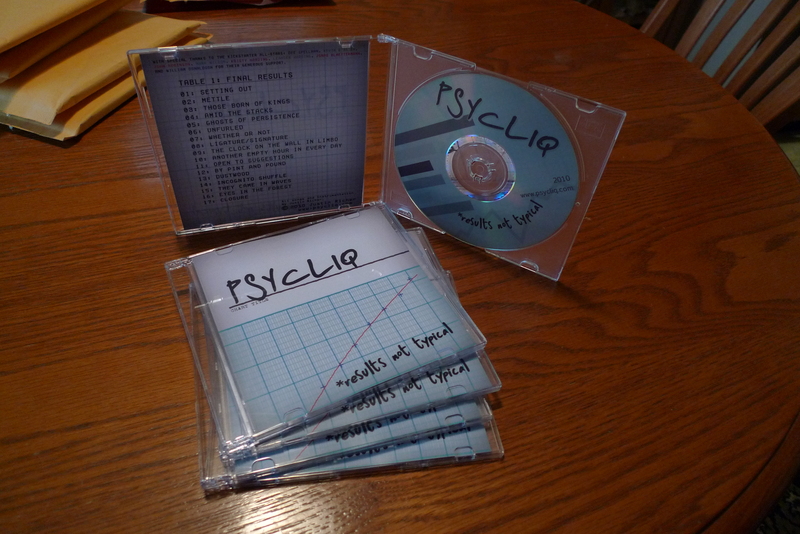 With the covers finally here, the packaged discs have been assembled and are off to the store. Once I get word that they’re in stock, this project will be fully released! People who have pre-ordered the album will be finding it in their mailboxes in the next couple days, assuming that I have the right addresses for them. The music should make it out into the likes of iTunes and Amazon shortly thereafter. Next postResults Not Typical, Available Now!